It seems that Democrat for Illinois Candidate Mike Frerichs has learned well from his cronies from the Chicago Democrat Machine when it comes to raising dirty money for his political campaign. This time, Mike Frerichs - who wants to be trusted to look after the State's finances - is caught up in a scandal involving some allegations of 'improperly accepting campaign contributions'. Gov. Pat Quinn and State Sen. Mike Frerichs, both candidates for statewide election, found themselves caught up this week in an investigation involving campaign contributions and the Illinois Department of Natural Resources. 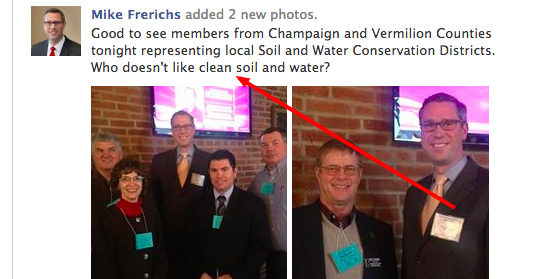 Mike Frerichs can talk all he wants about "clean soil and water" (which you can see he is doing on Facebook), but why has he been silent on this "dirty money"? Seems he's hoping this just goes away, doesn't it? 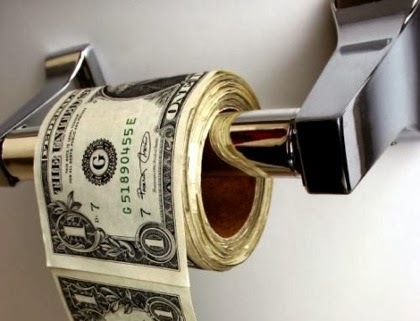 Why don't you start talking about that "Dirty Money", Mike? We're sure your Facebook fans would like to hear about how you're collecting your contributions.